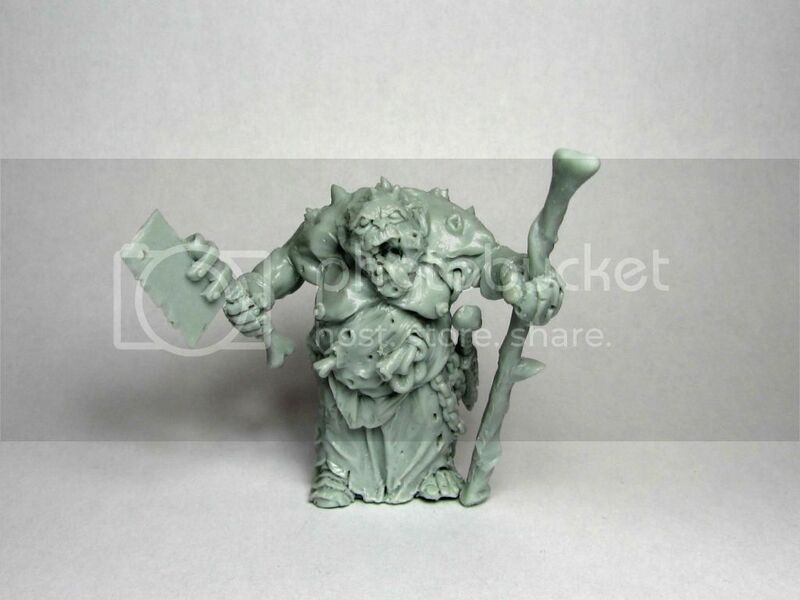 Had a blast sculpting him and even more fun moulding and casting. 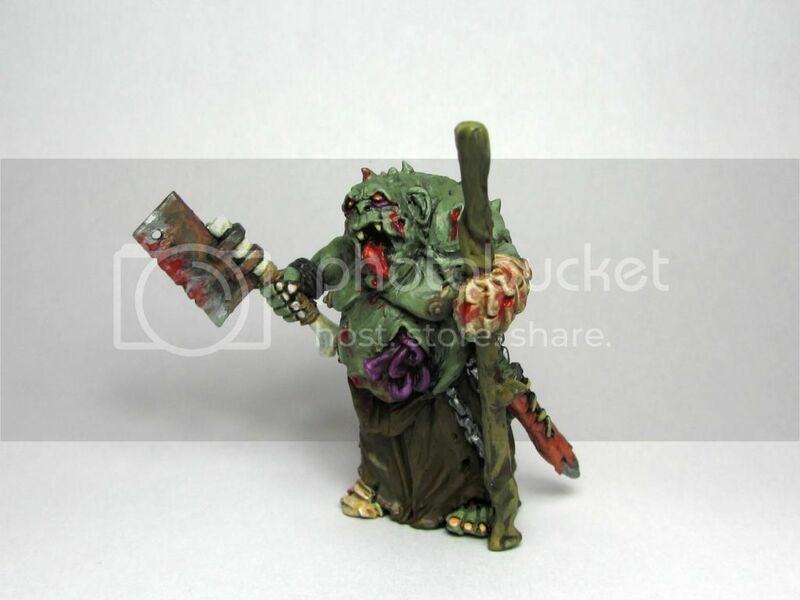 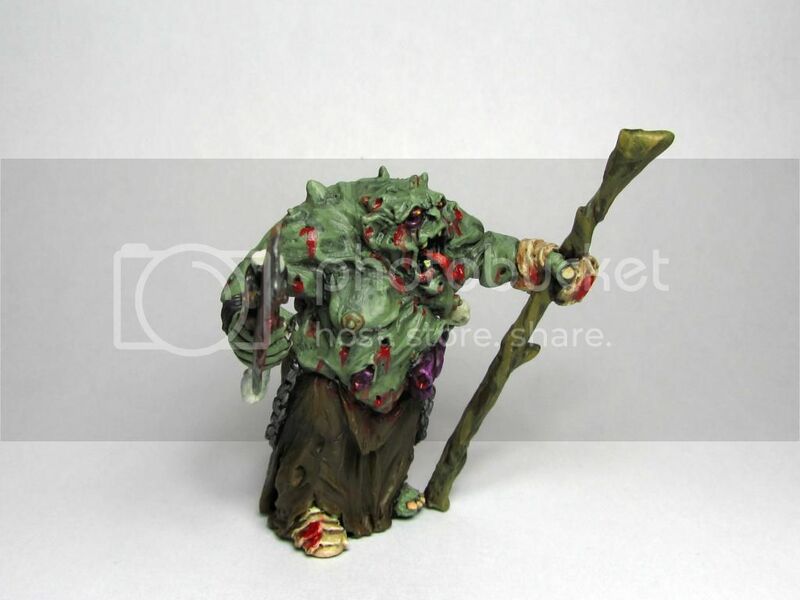 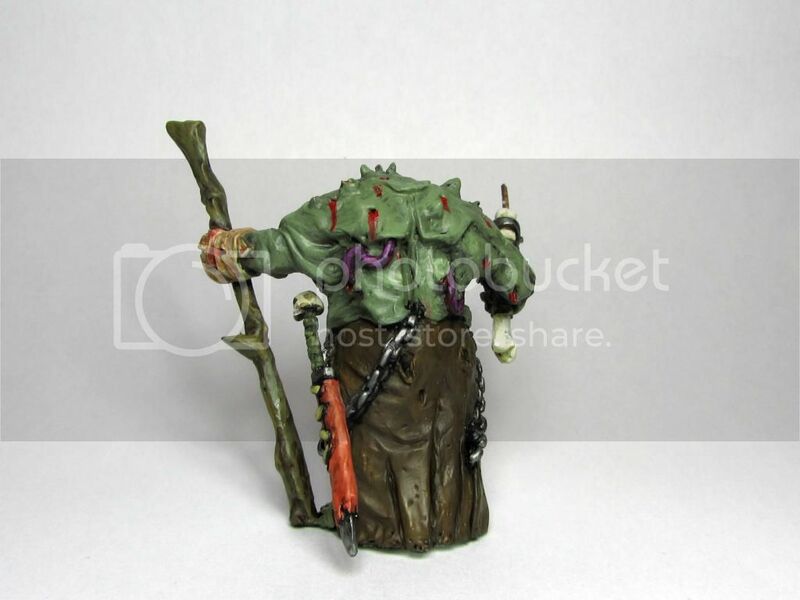 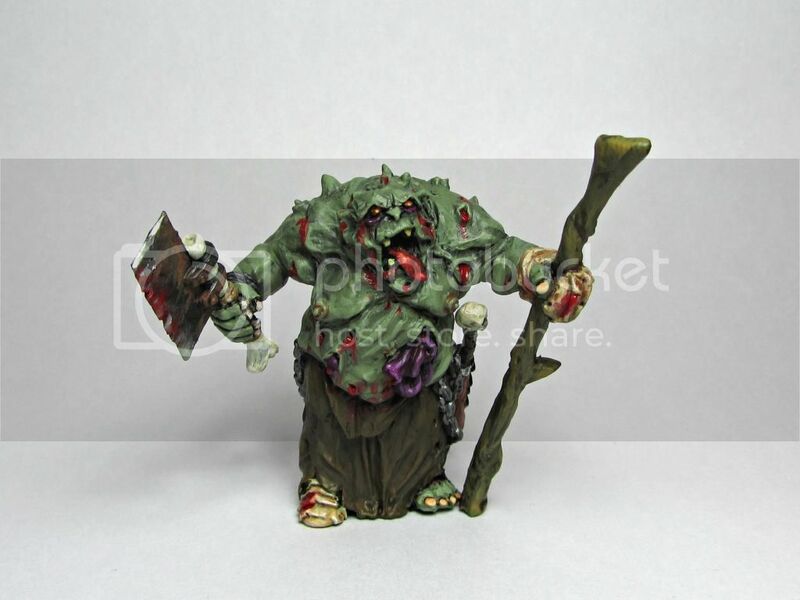 A Plague Ogre, 52mm to the top of his head and 60mm tall to the top of his staff. 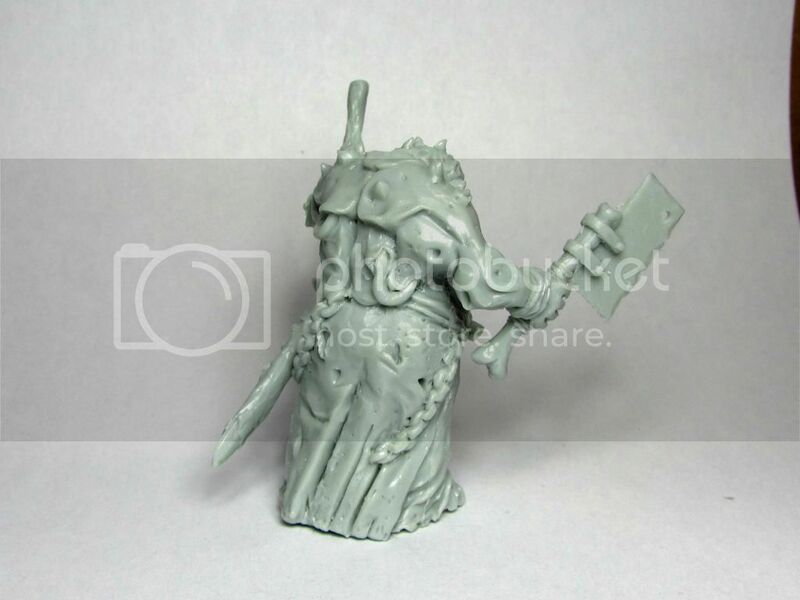 Good job and congrats on getting your casting setup operational!